This is one of my favorite sites. 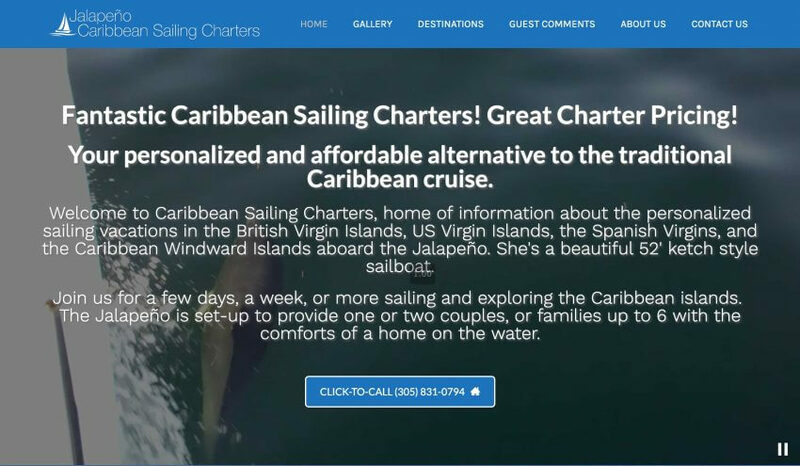 We built it out for our friends who run a Caribbean Sailing Charter out of St. Thomas. Jennifer and Ray have a fifty-two foot beautiful sailing boat named the Jalapeno. There are two private cabins in the forward with their own bathrooms and two sleeping births in the cabin. This boat can accommodate up six people comfortably.